We process a wide variety of powder coating products for the most demanding environments including Automotive, Architectural, Agriculture, Commercial, Construction Equipment, Industrial, Marine, Military, Truck, to name a few. Our processed products are used by many major manufacturers and brand names whose extended performance and warranties rely on our superior performance coatings. 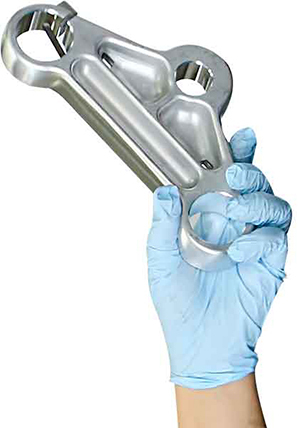 Our ISO 9001 certified plant processes well over 120,000 parts per day. 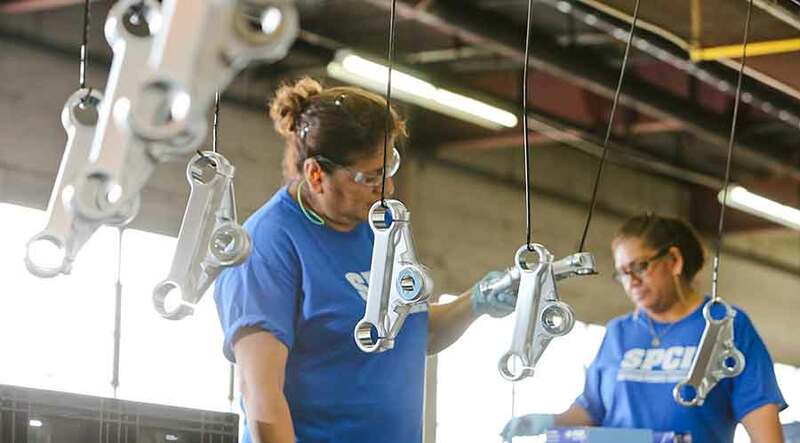 Our quality system will ensure that every one of your parts is processed to meet your standard of performance. You may also benefit from the fact that our facility is located within minutes of The Port of New York and New Jersey. We can bring in your imported castings, stampings, forgings or engineered products for surface pre-treatment and finishing to justify the Made in USA label before they begin their journey from dock to destination. We will inspect the product, pre-treat using either zinc-phosphate, iron-phosphate, nano-technology sealer, and finish it per your coating requirements. We have an anticipated lead time of 5 days, most times being shorter. Our 112,000 sq. foot facility houses a state of the art Electrocoating system and four high volume powder coating lines, making us one of the largest OEM contract finishing companies on the Eastern Seaboard. Depending on your performance requirements, we can either electrocoat or powder coat your product. For the ultimate performance system, we can electrocoat then topcoat with a wide variety of powder coatings. Our Electrocoat is only available in a medium gloss black cathodic epoxy. Powder Coating is available in a rainbow of colors, textures, and gloss levels as well as a wide variety of formulations such as epoxy, hybrid, polyesters, and super durable polyesters. We will gladly help select the coating system that best meets your needs. Our own fleet of 6 tractors and 18 trailers serves customers in the northeast region. We can also blind ship to whatever destination you instruct via your preferred common carrier.